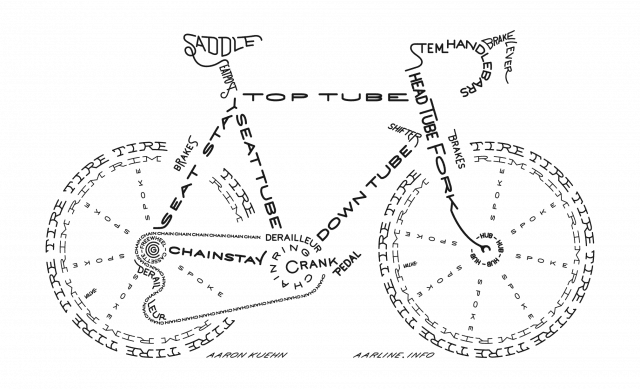 You may already be familiar with Aaron Kuehn’s typographic work if you have previously seen the Bicycle Typogram? Strategically placed words to form a bigger picture. Easy to give it a quick glance and move on, but just look at how the skull, for instance, has been formed to create a very clear visual outline from just skeletal words; it really is pretty impressive stuff. 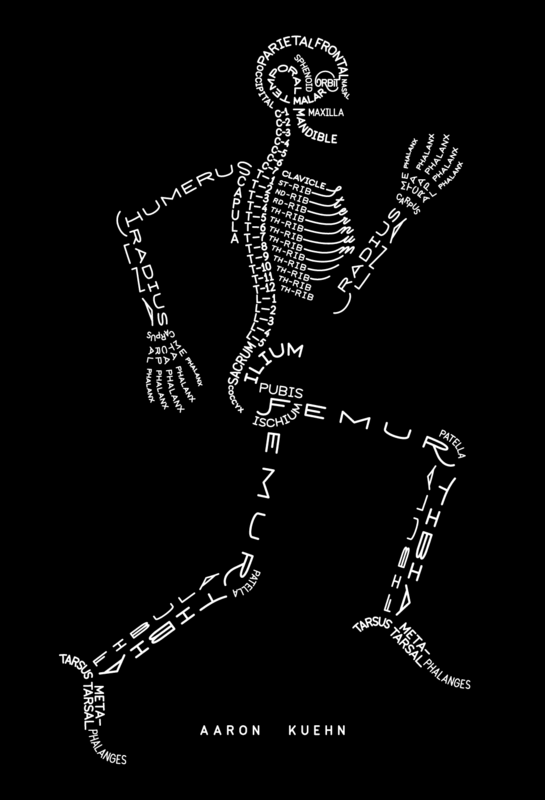 The component bones, ordinarily constructed with rigid mineralized tissues, have been entirely typo-grammatically replaced with 676 free and fused glyphs, together forming a complete skeletal diagram in Latin. Should one like then one can order prints of the Skeleton and Bicycle Typogram by visiting the link below. Click on the images to view larger versions, but also click the top-right “full screen” icon to view in maxivision.